On many occasions property cleaning is required as part of the removal, whether that be home, office or tenant relocation. Sometimes the removal process itself, like prep work etc. can make a bit of mess, other times it is end of tenancy cleaning that’s required to finish off the job. As always, X Removals has the solution customers require. 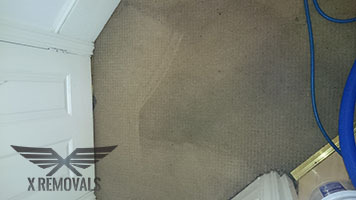 We provide professional end of tenancy cleaning and one off cleaning treatments to all private and business customers. You can be rest assured that your own, or your landlord’s cleaning requirements will be taken care of properly. Our London end of tenancy cleaning service is highly efficient and delivers professional grade results across the property. The cleaning teams will deal with all chores properly and focus their attention on problematic areas like wet rooms (bathroom, toilet), kitchen and food preparation areas, or other rooms where more cleaning attention might be needed. If required, our cleaning technicians will carry out the service as per landlord provided checklist and make sure all requirements are covered in full. Any specific customer requirements will also be included as part of the service, should those be reasonable and adequate. The end of tenancy cleaning service can be carried out in a convenient time and day of the week. If the service is combined with a removal, we recommend having the cleaners come in after the movers are on their way as this will make everything more efficient and practical. Our one off cleaning service is efficient, versatile and delivers industry standard results. The cleaning process is carried out by qualified, experienced technicians who will not allow for errors. The one off cleaning can be altered as per specific individual needs and wants so that customers get immaculate hygiene where it is needed most. When performing one off cleaning for offices and public buildings, our technicians will focus on wet rooms, as well as high traffic areas like hallways, staircases, front door areas etc. As we seek to ensure and provide consistent, industry standard cleaning results, our cleaning technicians use only professional grade materials and products. This not only guarantees better results but reduces service time and resource waste. Our end of tenancy and one off cleaning services are affordable and deliver genuine value for money. They can be requested as standalone, or as part of every removal project we organise for our customers. The number of cleaning technicians we send out, will depend on the specifics of the job such as timeframe, scale, complexity etc. The cleaners will arrive on time, and will bring the necessary tools, equipment and supplies. Should the cleaners be needed for additional period of time, please contact us promptly so we can make the necessary arrangements. The British capital is quite a city by anyone’s standards. However, for many people it is a love it or hate it affair. People from across the world have flocked to live and work in London, while a notable amount of natives have moved away from the city in search of perhaps quieter, cleaner and less expensive lifestyle.